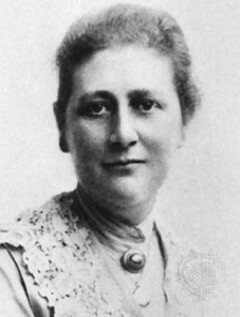 British author and artist Beatrix Potter wrote and illustrated many children's books in the late nineteenth century. She is best known for her enchanting tales and endearing drawings of woodland creatures in human clothes, most notably Peter Rabbit. Her stories are simple and direct; it was important to Potter to not "write down" to the young listener or reader. Her beloved classic stories remain popular throughout the world today. Potter was born on July 28, 1866, in Kensington, London, to a wealthy Victorian family. She was educated by governesses who encouraged her to write and who taught her art and music. When she was twenty-seven, she drew a picture and wrote a story for a sick friend about four little rabbits. Nine years later, the now-classic story "The Tale of Peter Rabbit" was published, and it became an overnight success. Potter's literary work diminished after 1918 because her eyesight deteriorated. She devoted her last thirty years to raising Herdwick sheep and investing in real estate. Potter was the first president of the Herdwick Sheepbreeders' Association, which still exists today. Potter died on December 22, 1943, in Lancashire. She bequeathed fourteen farms, including Hill Top Farm, the setting of several of her books, and 4,000 acres to the British National Trust.